A 63-year-old woman lost control of her car and smashed into a restaurant, injuring six people in the process. One of the victims had to be airlifted to a nearby hospital. The driver, whose name was not released, crossed from eastbound Spring Hill Drive onto the west side. She sideswiped a pickup truck, barreled through a flower bed, and struck a parked car before she crashed through the wall at a Beef O Brady’s restaurant. Victims and witnesses at the scene said the noise sounded like an explosion when it hit the wall. Authorities are still investigating the cause of the car accident. 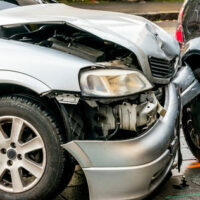 What Causes Tampa Car Crashes? When drivers make simple mistakes, like going too fast or taking their eyes off the road to talk to a passenger, they can usually recover. But loss-of-control collisions like the one described above nearly always involve negligence. TIA: Transient Ischemic Attacks, or mini strokes, can strike almost any person at any time. Unlike regular stroke victims, TIA victims often have no apparent risk factors, like age or heart disease. Their blood simply suddenly stops flowing to their brains as rapidly. Making matters worse, many people are still semi-conscious during these episodes. Epilepsy: Many epileptic attacks are a lot like TIA. They occur suddenly and without warning. Sometimes the victim loses consciousness altogether, and sometimes that’s not the case. Diabetes: When a person’s blood sugar becomes dangerously low, the person could lapse into unconsciousness and perhaps even a coma. Diabetic individuals cannot regulate their own blood sugar levels. Heart Disease: Cardiac problems are one of the leading causes of death in Florida. So, a significant number of people have such issues. Moreover, not all heart attacks, strokes, and other cardiac episodes have the same symptoms. So, drivers might have such episodes and not know they need to pull over and get immediate help. The four other types of impairment are alcohol use, fatigue, drug/controlled substance use, and driver distraction. Trauma: The most common form of head injury could happen when the victim’s head slams against the dashboard or windshield, or when a small object, like a cell phone, flies at the victim’s head during a crash. Motion: Whiplash is a difficult condition to diagnose. It does not appear on X-rays and other common diagnostic machines. So, many victims do not get the treatment they need straightaway. As a result, their head and neck injuries get worse. Loud Noise: Many crash witnesses, like the ones in the above story, say that car crash noise is like an explosion. These loud noises create shock waves which disrupt brain functions. Traumatic Brain Injuries are always permanent. Unlike skin, bone, and other body tissue, when brain cells are killed, they never regenerate. Surgery may ease some of the symptoms, but typically, brain injury treatment involves physical therapy. The process is long and grueling. If a person breaks a bone, the physical therapist just needs to strengthen the muscles. But if a person injures the brain, the therapist must teach other parts of the brain to assume the lost functions. That road is a long and winding one. Serious car crashes often cause multiple types of severe injuries. For a free consultation with an experienced personal injury attorney in Tampa, contact The Matassini Law Firm, P.A. Home and hospital visits are available.